Ok I’m going to make a big claim here. People keep telling us we have to accept ‘both sides’ with education, that there are positives and negatives to however you choose to educate, that one type is not right for every child, and that at the end of the day they are all equal. I know the least offensive thing to do is agree and say that unschooling is not for every child, but I’ve never been about the least offensive route at the expense of my beliefs (or children’s rights). The truth is, I don’t believe that. Plenty of people are going to tell me I’m wrong. I’m biased. I’m taking it too far. I’m so one-sided it’s not funny. You are entitled to your opinion, but I don’t share it. Unschooling ‘works’ for every child. Not only that, but it’s what children deserve. All children deserve respect, freedom, and autonomy. Not just those we deem somehow more ‘suited’ to unschooling. I know people would like me to say that there are positive and negatives to every educational method and that you choose whatever suits you. I would prefer to say that with any decision there is an ideal and we work within our means to do the best we can. The only potential ‘negative’ I can foresee with unschooling is that one parent might not be able to work. Not a negative to us personally but I definitely understand that’s a difficulty or roadblock for some. Whether unschooling is doable or healthy for every single family is also a whole other story, but if we’re merely comparing educational ‘methods’ then there is a clear ‘best’ choice. The truth is, genuine unschooling will suit any child perfectly. If you believe it doesn’t suit some personalities, then you don’t understand unschooling. 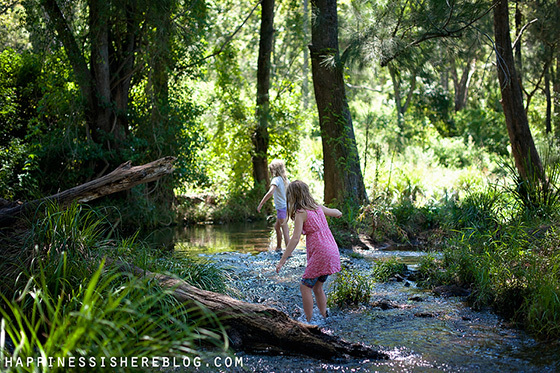 The very nature of unschooling means that it is perfect for anyone. How can this be? Because unschooling is about whatever that person needs and wants. It is not a curriculum which is unbending and created without a thought to the individual interests of the child. It is literally doing what is best for you. It is meeting everyone’s needs, following what makes you happy, creating a life that is perfect for you. It doesn’t look the same in every family because we’re all unique. Again, it is whatever children NEED and WANT. It is custom-made for each person and for that reason it can’t NOT work. Unschooling is whatever a child needs it to be. Your child loves to socialise? Then your life can be filled with fun with friends! Your child prefers more alone time? Then that’s what they can do! 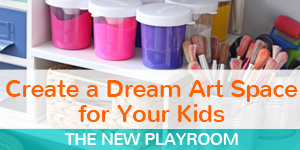 Your child is an artist? They can spend as much time as they like creating. 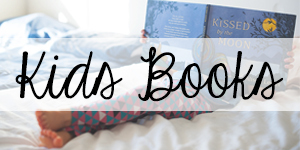 Your child loves nothing more than reading a good book? Read all day! Your child is into technology? They can immerse themselves in that interest. Your child needs to move their body and craves time outdoors? Fantastic, they don’t have to be stuck in a classroom all day. Your child likes structure? 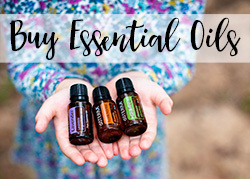 You support them to work out their own rhythm that meets their own unique needs. No non-consensual routines necessary. Your child likes to fly by the seat of their pants? Every day is a new adventure! Unschooling looks different for every child, and from one day to the next. Unschooled children get to live the lives they choose. To do what makes them happy, not what others demand of them. It is families living as equals, free from the interruption of school or even schooled beliefs. It is truly living your best life. When things seem to not be ‘working’, you make changes until it feels right again. Often what is required is more deschooling or simply being aware of everyone’s needs and working together to meet them in ways that maintain freedom, respect, and autonomy for all. Unschooling is flexible and adaptable. If you are truly unschooling then there is no one it doesn’t work for, because it is perfectly tailored to you. I can’t think of any other type of education on offer that lives up to that standard. So yeah, if I’m being honest, I do think unschooling is absolutely ideal for children. This life is amazing, and the best thing about it? There’s no prerequisites. come from 3 generations of teachers and 1 daycare worker. Unschooling is something I’ve never heard of until recently. I may just try to find the middle ground. I’m not convinced either… not because children are not capable but because we live within a certain labor/economic model. I think of it as a zoo for humans. We must work. We must adhere to the dictatorship of the business because of our own financial needs. They just have the upper hand. And even if that weren’t the case, would I trust myself to do the educating of my child? Would letting them explore now, instead of later and after having sampled many subjects & topics in a rigorous form, be fair? Could schools change with parental pressure instead of being unattended? Okay! Adding it to my book list! Hi Dina:). I loved your line about the labour/economic model being a “zoo for humans.” There can be some truth to that, for sure, but I think it would be wonderful for children to grow up and just by being who they are, change that bit by bit. Or have the self- determination not to engage! 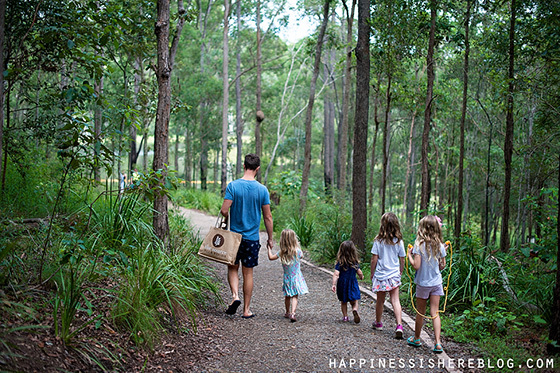 As a mum who truly needed to shift from part-time paid work to almost full-time paid work six years into homeschooling four children, I resolved to try my best to work resourcefully within my situation and we have managed to continue a very rich nine years later. Yes, we are blessed with an incredible homeschool network and I have been able to make my work hours as family friendly as possible which is so, so helpful and yes, it has been tiring but the kids have had the opportunity to watch us work toward creative solutions and be an effective part of those solutions. We have to be realistic about the challenges of life but I imagine that children who are well-anchored in their own worth and the worth of others will find creative and effective ways to live and contribute. I’m very interested in unschooling and have started to deschool myself and letting my children have more freedom. Homeschooling is illegal in Sweden where I live though. My children are four, two and three weeks old and school starts when they’re six years old. We’re thinking about moving to Åland, about four hours away, but then we lose proximity to friends and family and that will negatively effect our family. What are your thoughts on that? Also in Åland you have to keep up with their curriculum in some form I think, but I have to read up on that. How does it work for you? How do you approach health and hygiene? Do you let your children choose if they want to brush their teeth and if they want to shower? Have you read some research about free screentime that you can recommend? And also, how do you meet everyones needs while being respectful? 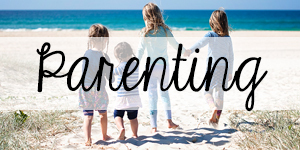 For example, we live in an appartement and I do have a need to get outside, and we also have appointments and such, but the kids can be hard to get on the same page, but I can’t leave them. How do you handle these situations? And how do you handle when the children want totally different things? These questions may seem unnecessary to you who are used to this life, but we have just started to think certain thoughts and would love some feedback from someone more experienced. 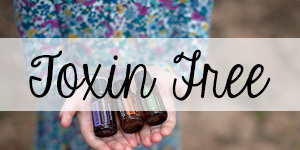 I found another of your blogposts about how to approach health and hygiene. Thank you for writing about these subjects. I love your blog! Thank you very much, I’ll check it out! Amanda, coming from germany, we are facing the same problems. 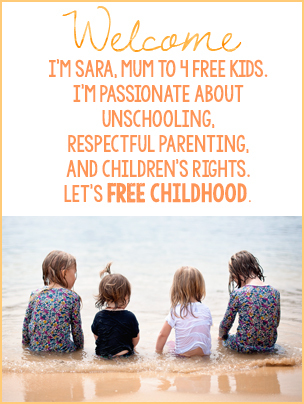 Yes, I wholeheartly agree with Sara, unschooling is ideal, given the ideal cirumstances = enough stable family income (from one person) and a legal framework for homeschooling. Our situation is, however, challenging to say at least. Although my husband and I have worked for years on a reliable and sufficent online income it is still not quite enough to be sustainable. Adding to that, the challenge of finding and maintaining friendships. Almost impossible, given that virtually all german kids go to school = no time for playdates. weekends are reserved for families to catch up = also no playdates. Also, living abroad / travelling proved to be very challenging, too. Not instagram-like at all. Having to be seperate from your regular income stream AND your friends / family alike to be able to unschool the kids is so hard at times, that I am regulary tempted to give up. So, sadly, I am not sure if in our real cirumstances, real life, unschooling is really the best choice for our kids and our family. If someone has something uplifting to say, I would appreciate it. It is feels superhard sometimes, putting in so much dedication and love and work and willingness to risk a lot and to go with much less stability and income and support from others and still…feeling all was not enough. I am not in Europe but in America, but I also agree that unschooling is not always easy or the best for our kids. We are in a rural area and the isolation was quite difficult for my kids at times. There are other homeschoolers in our area but not non-traditional ones. We regularly traveled many hours to take part in social activities but that still doesn’t take the place of having a peer group nearby for just day-to-day hanging out. My children especially missed it as they got older. Additionally, my oldest (nearly 20) has told me often that she regrets that I unschooled her. She wishes I had pushed her and forced her to do scary things. Sometimes it seems you can’t win! 🙂 I don’t know the answer but thought I’d chime in with our experience. I truly agree with your assertion! Unfortunately, in the real world, the prohibitive factors and reasons why one perhaps shouldn’t unschool are so widespread that this assertion is mostly just an academic point. ie your comment: “The only potential ‘negative’ I can foresee with unschooling is that one parent might not be able to work. Not a negative to us personally but I definitely understand that’s a difficulty or roadblock for some. Whether unschooling is doable or healthy for every single family is also a whole other story”. Many people feel unable to remove ourselves from financial burdens, or perhaps can’t without abandoning our support network of family and friends. And many people simply don’t have the emotional resources, or the experience of being parented well themselves to draw on, to be able to unshcool their own children, no matter how much they believe it to be the right thing to do. Despite it being an academic point, I guess it’s important to assert it gently as it might help some people uncover the real reasons why they are ‘against’ unschooling, ie that they feel they just couldn’t do it themselves (for whatever valid reasons) but are [understandably] reluctant to face the uncomfortable feelings associated with having their parenting choices indirectly criticised. I guess this is the real reason why people prefer to believe that school is ‘equal in the end’. If emotional and experiential factors mean you feel your children are ‘better off’ in school than spending all day with you then these people would be inclined towards thinking about all the positive examples of children who come through the school system OK DESPITE the pitfalls of that system. I’m not advocating lying to yourself, but it’s human nature to have confirmation bias once you have made a decision about something, and I guess this is the framework that we are all operating in. I have had sleepless night because of a given up home and financial worries we would not have if we just stayed in germany, where homeschooling is illegal. Also, my daughter has been certainly sad because she misses her home and her friends, too. To clarify, we did not leave our former situation (house, two cars, two jobs) because of unschooling only. But it was a part of many desires to change in our lives. a more free and less stressful life for all of us in this family. however, despite all of our efforts, after years of preparation and dedication, I am now almost at the point of giving up because the challenges (financial, finding friends, finding time to just exchange a few uninterrupted words with my husband) are too high. I really wonder if all of us would not be better off just living a normal life, with school, a normal home, normal work, family close by. And yes, subordinate to the system that I hate. But being able to stay in our social network and not having to constantly worry about our online income. I relate to this so much and I know other parents who do too. I have an unschooling friend with older kids whose youngest is just now at school age, and she’s always saying she thinks she should just put her in school to spare her the loneliness the older kids have had. It’s hard. It’s so much easier when you live in an area where there’s a big social network for yourself and your kids. I have wondered so many times over the years if I’ve screwed everything up by choosing this lifestyle that we sacrificed so much for because we thought it was best for our kids. I see the benefits but there were so many ways it seemed to make life harder for them. It’s even harder when all the public images of this lifestyle seem so ideal and you feel so alone in struggling. Sending hugs from America. I would really be so interested in your point of view about this? I admire you and your work so much and your blog have been a huge inspiration and help for me in the last years. Yet I do wonder if you never experienced or witnessed any of those challenges me or others (e.g. Mom of Many, Krys) experienced, too? It would be so helpful to read about challenges that may come with this lifestyle and your view about it. Thank you for your inspiring work. The ever insurmountable problem though is “How do we make this, at least, an option for all children?”. Short of a socialist revolution or somehow rebuilding public schools to be more play centre than school, I really don’t know. Almost no one I know could do it. My one friend who did unschool for 10 year just ended up sending her 2 kids to a play based school because she had to work and it was becoming harder and harder to find things for her kids to do and places for them to go while she did. I’d love to unschool any future children but if the career I want doesn’t work out for some reason then I can’t see myself having the freedom to give children that freedom. I have such horrible experiences with school that I probably won’t have children if I’m not sure I can unschool but circumstances could change after they’re born and then what? You and so many others have truly convinced me that unschooling is the way. Now I want to work on how to make is accessible and I don’t know where to begin…. We have been homeschooling whilst traveling in our caravan however we are now back at home for 6 months while my husband is away for work. It is very hard! All my 4 and 5 year old want to do is watch tv. This most certainly did not happen when we were caravanning. They were outside playing with all the other kids. There are no homeschooling families close to us. We always have to travel. Solo parenting, no kids to play with and a huge sense of responsibility can often feel overwhelming. Not sure how you do it! I agree with what you have written however I am really struggling. I don’t want to put my children in school but I need to enjoy this too. Any advice? I’m currently considering homeschooling my kid, and I’m a single mom, and I can already feel how scared I’m of keeping him home because of it. I feel like I need that separation of some sort for some time otherwise I’d be too overwhelmed. Want to see what others have to say about this. 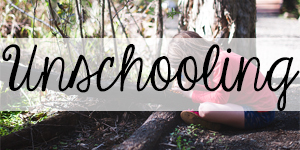 We love unschooling for the 7, 5, and 3 y.o here! My partner and I both work. The Director of Tactical Ops (known as a nanny by most) coordinates all the comings and goings based on what the kids are up to on any given day. 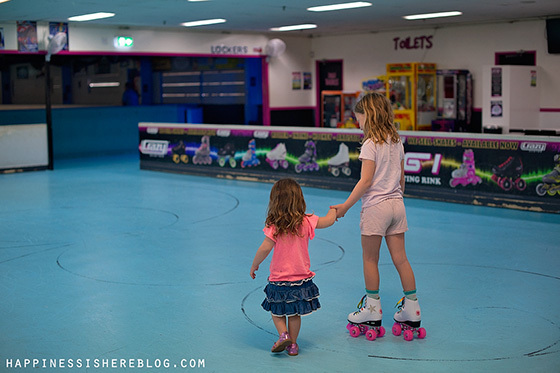 As the kids older and their interests are becoming more diverse, it’s become a little bit of a challenge to keep all three of their schedules. How do you work though that with multiple kids? We’re looking forward to the oldest being able to take public transit on her own next year. This last point just crossed my mind. Isn’t it, that when you say “unschooling works for everyone”, it is the same as if I’d say “wholesome, healthy, organic food with lots of vegetables and fruit, freshly prepared, is the best for every child and works for everyone”. That’s certainly true. But is everyone in the position to give this to his children? certainly not. If not everyone, maybe at least the majority? Also not. In reality, it may be just a very small, rich (compared to the vast majority of people on this earth) percentage of families who is able to provide this “optimal” environment for their children. To go with less than one income. To have the personal freedom -financially, socially, politically, legally- to be able to do this. And I say this as a privileged person (compared to most other people on this planet) myself. I know your point is not to say “everyone can do it”. But still, sometimes, I would wish in all the articles and enthusiastic praise of unschooling (to which I very much agree) in the online community to find some more thought and reflection given to these real circumstances that are not only roadblocks, but also insuperable obstacles for most people on this planet. I agree with the above assessment that “unschooling is for anyone–who can afford it.” I grew up with a single mom in upstate NY. If I was playing and doing whatever kids do when left to their own devices, I was doing odd things like sorting shrub berries into beer bottles and using broken glass to make “gum plates.” Sure, in hindsight, I might be able to see my own learning processes doing those things, but it was a highly dysfunctional environment. I spent a lot of time playing Nintendo and watching HBO movies without adult supervision. If self-directed is what we’re after, then I probably learned a lot by watching movies all day and eating Captain Crunch until the roof of my mouth felt raw. The schools in NY were amazing for me. They felt safe. They offered opportunities for me to paint, do music, play in group sports that I might not have tried on my own, learn about science, social studies and numerous other subjects. I currently live in a very different income bracket than the one I grew up in and can “unschool” my kids if I want. I could also send them to highfalutin private play-based schools. We’re not quite to the income bracket of hiring a private nanny to homeschool for us, but we do have some options. I wouldn’t have made it out of my little town had it not been for my educational experiences in school. If my parents had decided to “unschool” me for fun, it would have been a disaster on many fronts. You can’t really assume all people are stable enough to know how to just let their kids play. It’s a privilege to have the opportunity to unschool. It’s good for us to recognize it as such. I think I’m afraid it’s not for me beacause I’m so unstructured, tited, energy-depleted, unfocussed myself. I spend a lot of time in front of the computer screen myself (just trying to stay awake and focus on something) and I don’t think that contributes to good learning of any sort. . .
Hello! I love the post a lot, and have been thinking a lot about homeschooling and unschooling for my son lately. I have an idea how homeschooling works, and that the child would study the same program as in school, but at home on his/ her own. How about unschooling though? Do you give your kids materials to study or provide them complete freedom on how they want to spend their day? Thank you! So I am in agreement that it CAN work for every child but the statement that it does ignore the facts of parental mental health, neglect, extreme views and biases and isolation from other children. In these cases children are deeply unhappy and would be better off in a school setting. However, I would like to point out that when I say a school setting, I mean a Sudbury Valley style one. Unschooling works when nurturing, understanding parents facilitate self education. But this does not always happen and that is why I do not agree with your statement. Unschooling is about freedom. Doesn’t everyone want that? Apparently not. We have created a mental prison of dependence in a country where our forefathers proposed independence and even created laws demanding it. Children are born with a natural ability to succeed in whatever they do, until we get in their way and start dictating based on a herd mentality and redundant rhetoric which I call schooling. The difficulties I’m hearing is from the parents and you are your children’s biggest influence. With that being said, unschooling is for the parents who have been lied to and trained to do what you’re told in an institution that does not support freedom. I mean, really, what have you learned from a government funded institution that has ever applied to your actual daily life? My answer is nothing, well, except that most people are mean and that created fear. Life is precious and only for a time you can choose to really appreciate it through freedom or stay in the rat race until you’re eaten by the competition. I choose to struggle to give my little people freedom, “by any means necessary”and by doing so freed myself and my husband; both former prisoners of public and secondary education. Having friends is based on the fear we all experienced in school, furthering your dependence, but friendship is never more important than knowing thyself. Fight to break free from your bonds and facilitate independence to your offspring. If this black mother whom has birthed 6 independent, intelligent, creative, kind, loving, strong willed thinkers can do it, it is within everyone’s grasp, because I truly believe unschooling is for everyone. Thanks for reading my all over the place rant(smile). Wow thank you for this great article, i so believe in unschooling and i agree it is for every child in their own preference. I have a girl who is almost 9 years old and my husband and i have decided not to have her put in the “SCHOOL SYSTEM” as we believe that the world itself and the everyday experiences we have and share together as a family is in itself education. We tell our daughter that she can be anything she wants to be in the world. We have also explained to her why we have decided not to put her in school and she believes that too. And its amazing as we are already seeing the benefits of not putting her to school. Instead we capitalise on her interest and and support her in what she loves to do. We are now doing the same for a 3 year old son too and we seeing the results already. Id just like to say that being in a SCHOOL is not ALL there is to living this life. There’s to more to life then being in a CLASSROOM. life is without limits and boundries. 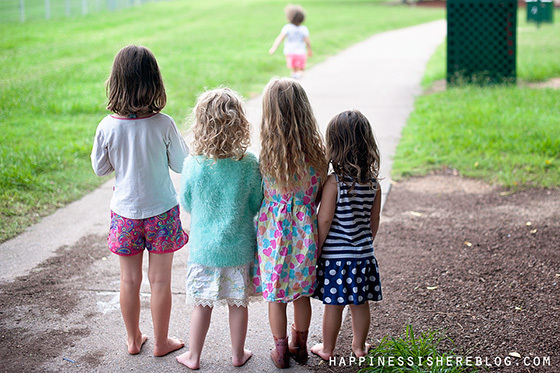 I’d love to know any experienced unschooler’s thoughts on a child who has wanted to go to school for YEARS and whose greatest desire in life for all those years has been to “fit in” with her schooled friends. Is sending her to school unschooling? I definitely feel like when they hit high school age that giving her the freedom of choice to educate as she pleases is the right thing to do. But right now she’s ten. She’s been obsessed with school since she knew what school was. It hasn’t not abated. She does all sorts of cool things, she has many opportunities, she is not lacking for friendship, and yet the desire persists, STRONGLY. Till now I have resisted even considering whether she should have the choice because I reasoned that unschooling is our family lifestyle, and having one young kid attending school would seriously curb it. But she’s an independent and reliable ten year old. I think by next year I could comfortably leave her to manage her own schedule, make her own lunch, be home alone on occasion…in other words, the family lifestyle is no longer an obstacle. But how much autonomy do I give a ten year old over her own choices? I don’t want her to become so devoted to the approval of others (one thingthat eats away at her is the constant quizzing of some of her schooled peers; the jokes about her being dumb; the quick math and other such monkey tricks they can do that she can’t). I don’t want her life to be comparing herself to others; measuring herself by grade numbers; getting caught up in the drama of tween life! Shouldn’t I protect her from that? Tell her, yes you have autonomy over your education, except for school. Do anything you want, but you can’t do school itself. Or am I denying her the basic tenets of my philosophical beliefs: trust; autonomy; agency? Can an eleven year old “do” school in a healthier way than her peers if she knows it’s unimportant and a little silly to her parents? Is it worth the risk to try it out? What is more in line with my unschooling philosophies: keeping her home till she’s more intellectually mature, or allowing her to attend public school?! And what if her younger brothers follow suit?? GULP. A child knows what it wants to learn. But how does she know what she needs to learn? How do you know what you need to learn? Do you know the same things as every other adult your age?